You are currently browsing the archive for the Shaun’s Blog category. This past week, I have been spending some quality time at home before heading back to campus for my junior year. Having been away from home this whole summer, I am really glad I had the opportunity to come back to California and see my family. It has been eight months since I last came home, and even though I have been have some great adventures, there is no place like home. These last few days of vacation have given me some time to reflect on my summer experiences. Firstly, I had the chance to work at the Women’s Tennis Association. Here, I was able to follow my passion and help campaign for gender equality. 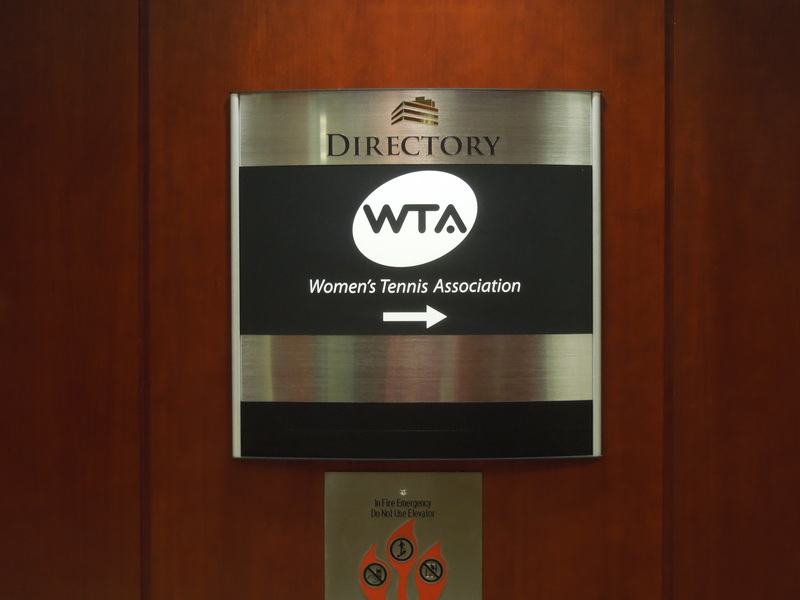 I have wanted to work at the WTA for awhile, so I am really glad that I had the opportunity. 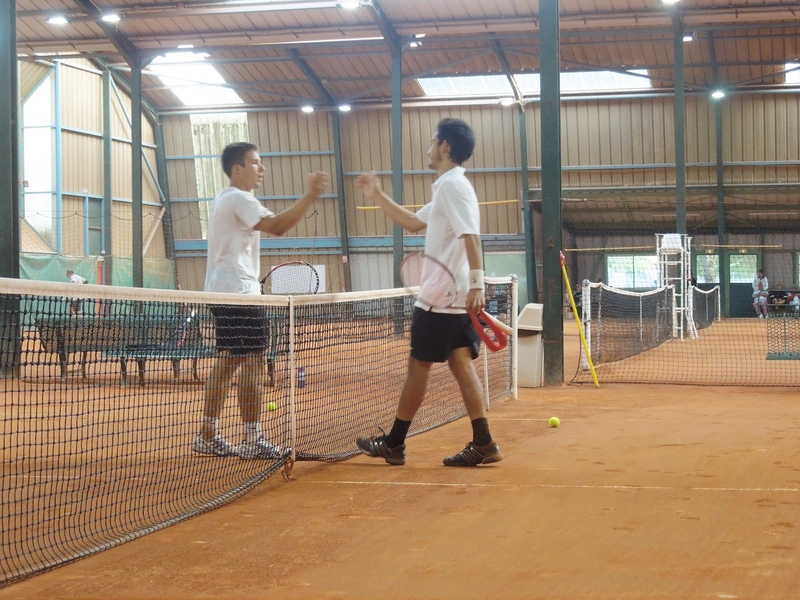 For the second part of the summer, I was traveling and playing tennis in France. I will always treasure this experience as I learned a lot more about myself, through the process and gained a more global perspective. 1. We are all more alike than we are different. My travels in France really made me formulate this opinion. Despite our cultural, and language differences, deep down, we are the much more similar than we are different. We may speak different languages, and wear different types of clothing, but we all enjoy the same fundamental things in life. 2. Life is too short to be stuck in an intermediate state. With the introduction of technology, it is really easy to escape reality. You have the option to deviate from reality by texting a friend, or playing a game on your phone. Having spent so much time away without a phone, and constant access to the internet, I realized how much freedom lay in the ability to remain in the present. There are so many wonderful opportunities right in front of you, and it only takes a closer look to see them. 3. Never make judge a book by its cover. It is human nature to attach labels and stereotypes to people based off their looks and first impressions. If you take the time to get to know people, they might surprise you. I had the opportunity to meet a lot of new people this year, and found that a lot of people have very interesting stories. I hope everyone had a great summer, and I am really excited for the start of the new school year! I can’t believe I am going to start my junior year, but I am really looking forward to the new school year! After our tournaments in Dax and Urt, the team headed to Sarlat. This would be the last tournament that all four of us would be competing in together. 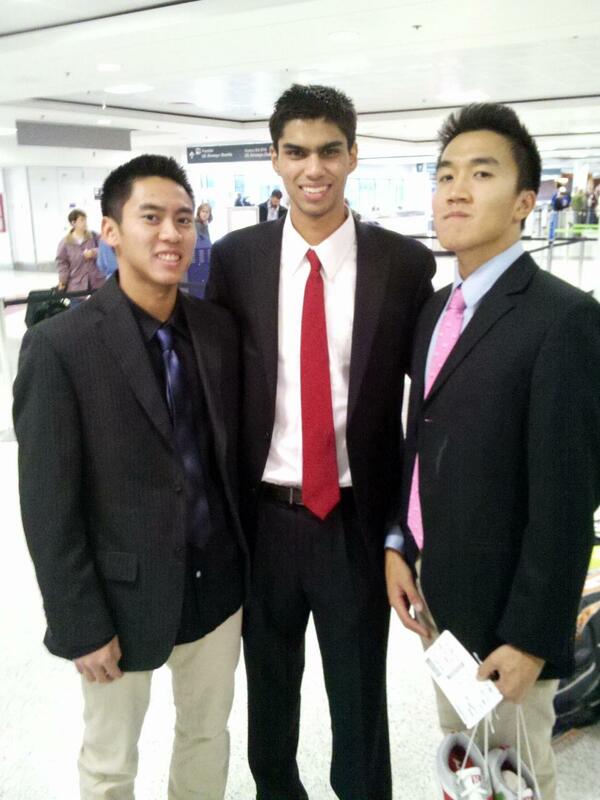 When I booked my plane tickets in March, I knew I would be in France for one week longer than my three teammates. Sarlat proved to be unique from the other clubs as this was the tennis club where the famous French Tennis player, Younes Aynaoui, grew up playing tennis (he played the second longest professional match against Andy Roddick in the quarterfinals of the 2003 Australian Open). To our surprise, he entered the tournament, and unsurprisingly, he won the tournament without dropping a set. Obviously, he is a very good tennis player, but I was taken aback by how nice and humble he was. After the tournament ended, he was nice enough to invite me to hit, and was really keen on offering advice. 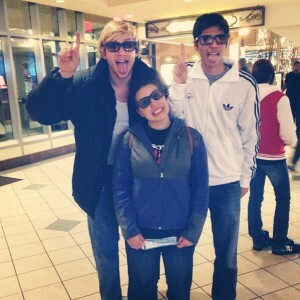 After the tournament, we dropped my three teammates(Alex, Conor, and Nicky) at the Bordeaux train station. As the train pulled around the corner, I felt twinge in my heart. It was sad to see them leave, but we had so many great experiences these past four weeks, and knew we would have these memories for the rest of our lives. While competing in the Sarlat tournament, I met a Harvard Alumni who grew up in the area and also played tennis at the club. It was nice to have the same college connection and he invited us to have dinner at his house and meet his family. Since we had a couple of days off before the next tournament he offered to show the rest of the team(Bells, Will[our coach], and myself) around the city. Traveling through each town you don’t always realize how much history lies there, and it is fascinating to think all the important historic events that have happened over the years. 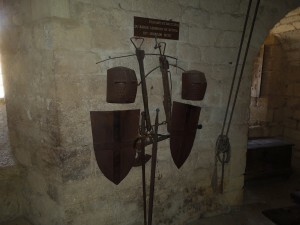 Most of the landmarks in this particular city included castles that were constructed during the Hundred Year’s War between France and England. I’ve always had a fascinations for castles, so I am really thankful that they took time out of their busy schedule to show us around. Olivier(Harvard Alum), Zeina, Bella, and I visiting castles! 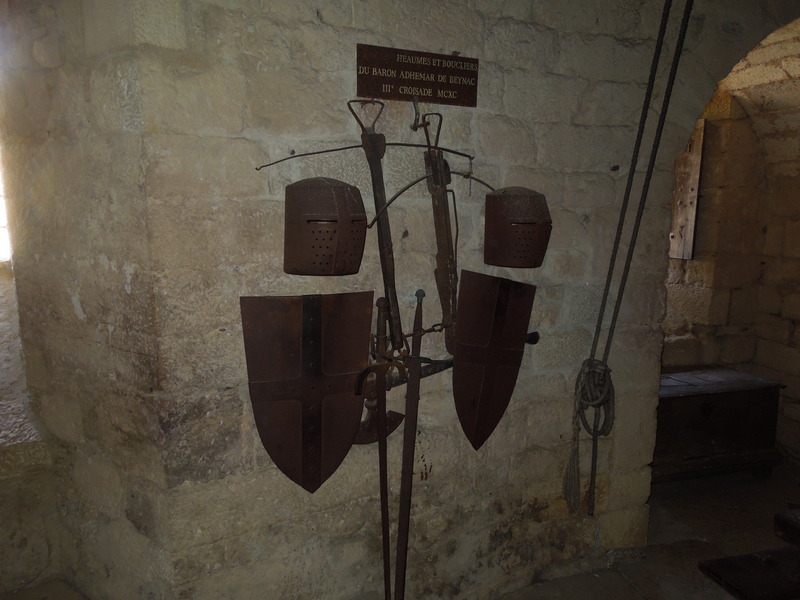 From Sarlat, we drove to the town, Le Bigue. This was one of my favorite tournament of the whole trip. Like the other clubs, everyone was hospitable, but every night, the club had dinner for the members and players and they wouldn’t let you leave until you had three or four helpings. There was a vegetable garden right next to the club, and everything tasted great. While my French had been getting better throughout the trip, most of the members spoke English which made the communication process much more fruitful. As this was one of my last tournaments it was great to reaccount all the adventures my teammates and I had, and I had a nice little fan base by the last day of the tournament. I played one of the best matches of the trip in the finals, and was really sad to leave Le Bigue. 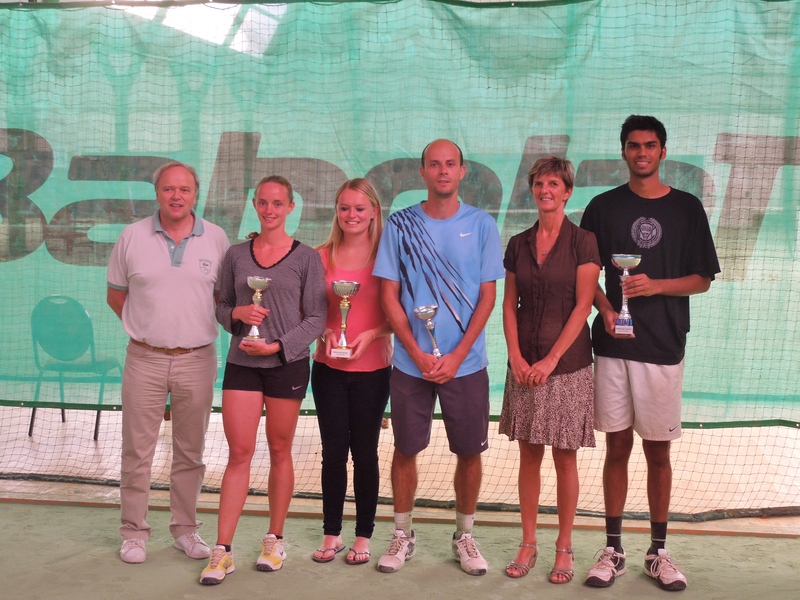 After Le Bigue, I played my last tournament in Northern France at Normandy. It was my 9th and final tournament, and I knew would feel remorse after the last match. When I got to the club, I found out the matches were going to take place in the indoor clay courts, which was a little surprise. Clay is my least favorite surface and it was fitting I had one more chance to prove myself on the surface. I reached the final without dropping a set, and found myself against a veteran clay court player in the finals. His experience showed as I dropped the first set 3-6. With much support on the sidelines(my coach Will, and close friend Bella), I was able to event the match with a 6-3 win in the second set. In the third he struck first and took a commanding 3-1 lead. Whether it was my last match, or that I had played so many matches on the trip, I was able to find another gear and won the final set 6-4. After his forehand went wide I glanced at my coach as we couldn’t believe I won a tournament on clay. While the club lacked the community feel of the many other great clubs I’ve played at, it was fitting last tournament, and will always have a special place in my heart. 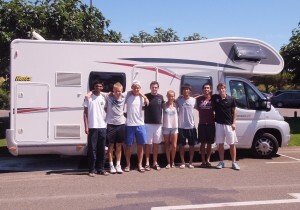 After the tournament we packed up the campervan, for the last time, and headed to the Paris Airport. That’s it for my adventures in France! It was an unforgettable five weeks, but am looking forward to head back to the states and spend a week at home. At the end of the week, I will be posting my final reflections from the summer. Stay tuned! 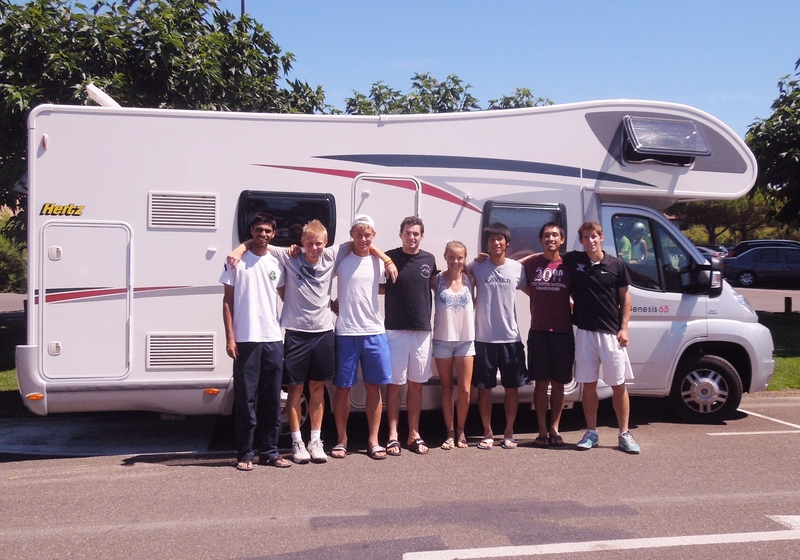 After playing two clay tournaments in Biarritz and Ciboure, the rest of the team and I packed up the campervan and headed to our new destination, Soustons. We had another great experience as the club was very gracious and loved having US players in their tournament. They had traditional U.S hardcourts which was a nice welcome after competing on the French “clay” and “quick” tennis courts. After the matches they conducted interviews, in English, but I vowed to do them in French if I ever returned. At the end of the tournament, the club directors hosted a buffet dinner, and the whole team was invited to join. After having our first home-cooked meal in weeks, we left Soustons in high spirits. After the tournament, we had a couple of days before our next matches. Alex and Nicky were set to play a clay court tournament in Dax, while Conor and I were going to play a hard court tournament in Urt. Luckily the two towns are pretty close, so we were able to commute back and forth. We drove to Dax and parked to campervan near the tournament site. There were plenty of restaurants in the area, and we had some time to explore the town. We stumbled across a bowling alley and decided to give it a try. 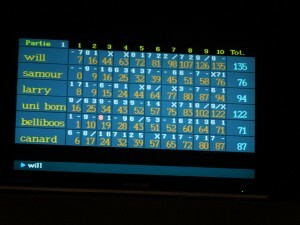 We bowled several games and the internal competitiveness kicked in as we were all striving for the win. Conor and Alex bowled personal bests breaking the 150-plateau. We all had a great time, and it was nice change of pace from all the tournaments matches we had been playing. 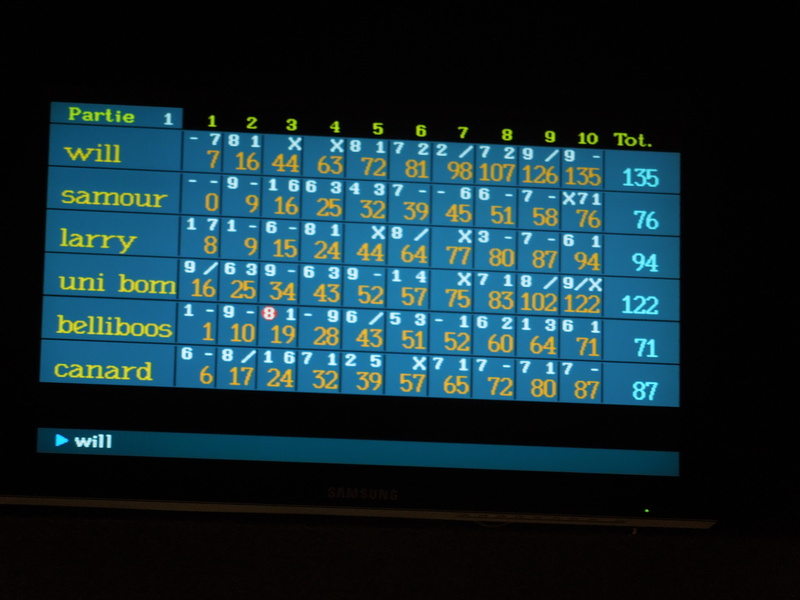 Game 3- We all had nickname/ random names, and mine was “Larry”. While we were in Dax, a kind French family offered to take us on a trip to the nearby lake and use their boat. Conor and I didn’t have matches for a couple of days so decided to take them up on the offer. 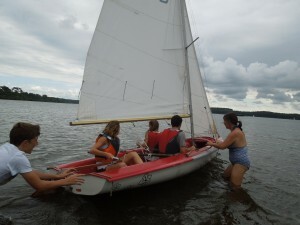 The boat took about two-three person to sail it, and with the combination of our poor French speaking and their lack of English understanding, there were many interesting moments on the water. 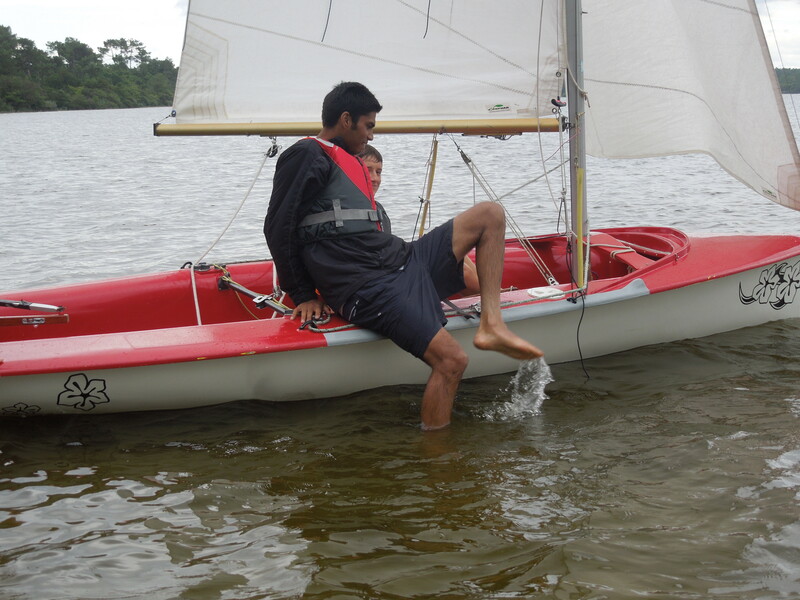 It was my first time sailing, and I really enjoyed the feeling of being on the water and using the natural elements(wind) to help guide the boat. After being on the road for weeks, it was a great chance of scenery. I have touched on the French hospitality earlier, but there is one French custom that I wish we had in the US. After a match, here, it is expected for the winner to buy his opponent a drink. The players can share a nice chat, and have the chance to get to know each other better. If there are any disputes in the match this gives you the opportunity to work out any issues and move on. While we do have certain customs of our own, (for example, in Hawaii, it is customary for tennis players to give their opponents a box of macadamia chocolates after the match), we don’t have anything like this. Traditions like this help us get away from the cold, impersonal part of the game and helps you realize the friendships forged through these experiences is a far greater determinant of a victory. 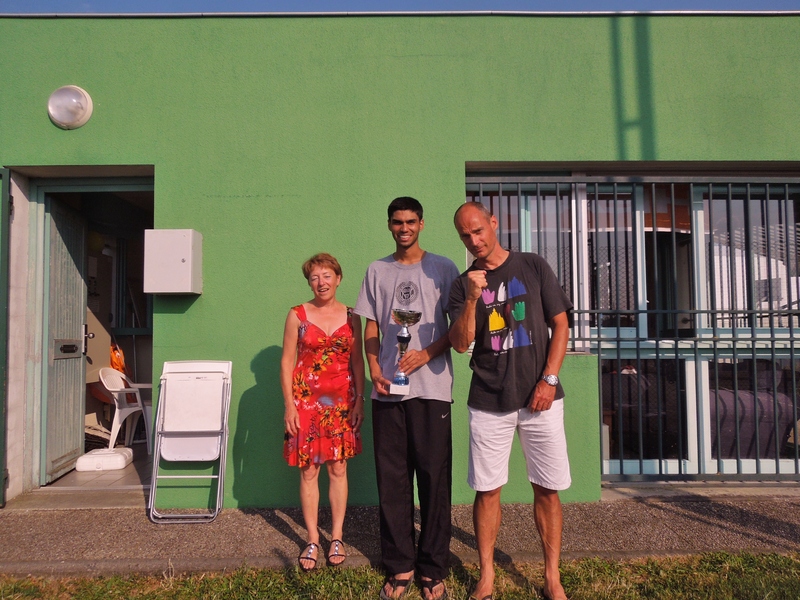 We just finished our tournaments in Dax and Urt and will now head to Sarlat. It is surprising to see how fast time has passed on this trip as our journey is really winding down. All my teammates will leave within the week, while I will be leaving soon after. It has been a great experience so far, and we will be leaving France with many good memories. Stay tuned! For the rest of the summer, three of my teammates and I will be traveling around France competing in tennis tournaments. This is a great opportunity to embrace a new culture while getting match play for the upcoming year. We will be traveling/living in a campervan, so it will be quite the experience. 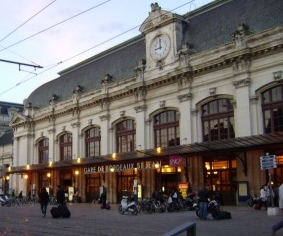 I arrived in Paris on July 12th, and took a train down to Bordeaux. There, I met up with the rest of my teammates, and we started our journey. We are here with one of our coaches’s friends from Australia, Will. He coaches a top Australian junior, Bella, who is also competing in tournaments here. 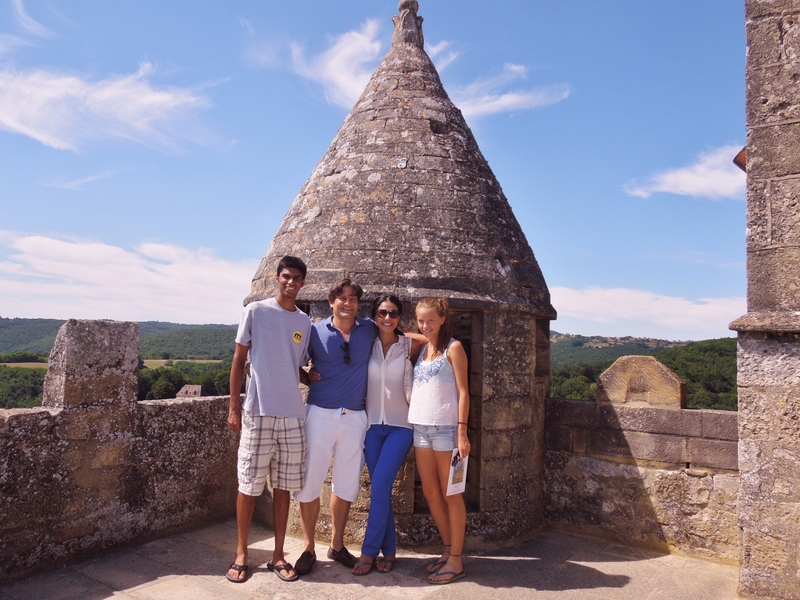 From Bordeaux, we drove to Barsac where some of my teammates were playing a tournament. 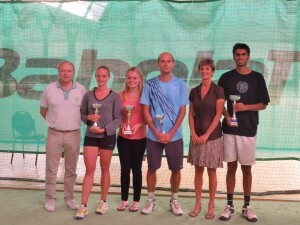 After spending a couple of days there, I headed to Créon to play in my first tournament. 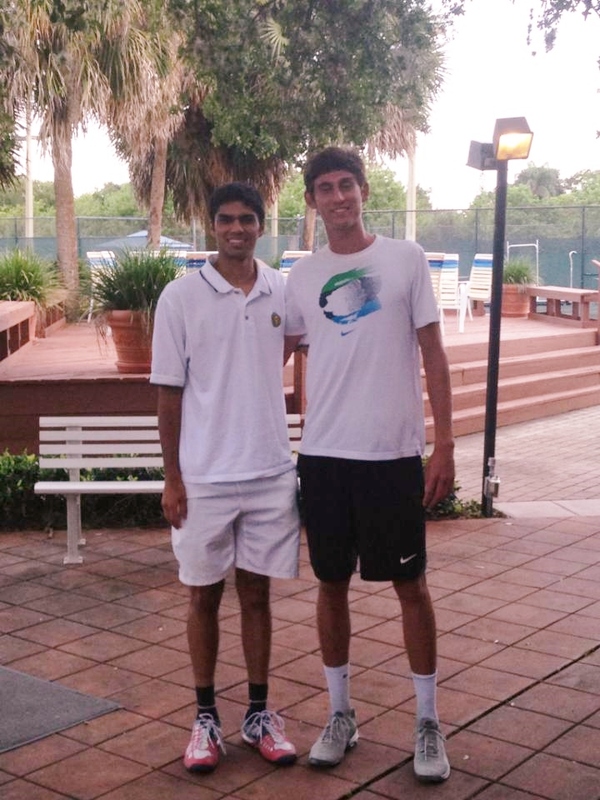 While I had been training in Florida, I was a little anxious before my match because I hadn’t played in an official match since the NCAA team tournament in May. 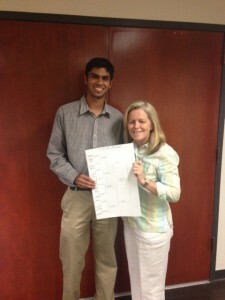 Luckily, I was able to dust the rust off pretty quick and take the tournament title. After competing in Créon, we headed to Biarritz, and Ciboure to play on the red clay. 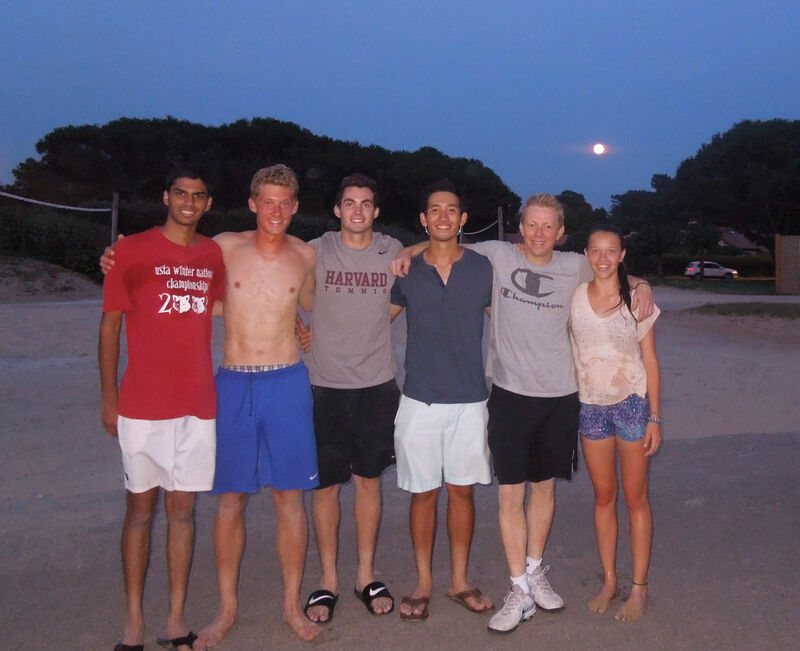 In the US, we play, primarily, on hard courts, so playing on the red clay was a new experience. While, I wasn’t a big fan of the surface, it was nice to try something new, and I really started to enjoy playing on the red clay towards the end of the tournaments. One of the reasons, it is advantageous to play tournaments in France, is that the French Tennis Tournament System is more efficient than the US tennis system. In the USA tournament system, the tournaments are age-based. This means that the entries of a tournament will be based off a player’s age(14 and under, 16 and under, 18 and under, Open level, etc.). This means that a beginning level player who was 17 years old could be entered at the same tournament as a top ranked junior who is also 17 years old. In contrast, the French Tennis System is purely level-based. Players of varying age will be entered in the same tournament, but players with a higher categorized rating will be fed into the later rounds of the tournament. The main ranking categorizations in France are: +15, +4, +3, +2, +1, 0, -2, -4, -15, -30. This way the tournament will hold many players, but you will be matched with players who are at a similar level and give you a competitive match. Both systems have their advantages, and I have enjoyed playing in the French System. There have been many difference competing here, than in the US, but the utmost difference is the level of hospitality each tennis club offers. Each tennis club seems to be integrated within the community, and there are many locals who love watching tennis. Each club has a feast at the end of the tournament involving the players and the spectators throughout the event. This event is great as it gives you the opportunity to see other players off the court, and talk to the club members, who are keen on teaching us some French. 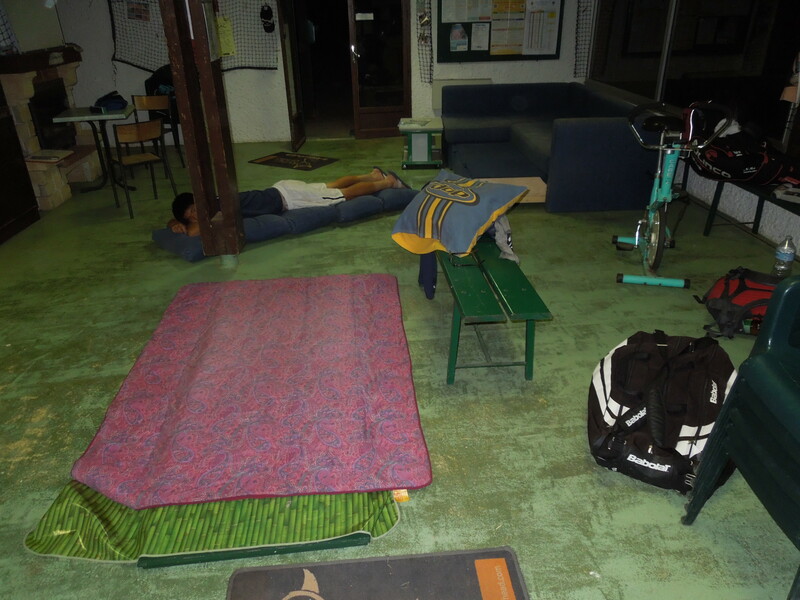 The tournament directors really want to make sure we have a good experience and have let us sleep in the clubhouses and use the kitchen and cooking utensils. After Ciboure, we headed to Soustons, and have a couple of days off before our next tournament. By now, we have gotten into a routine and have spent some quality time with each other. Playing the tournaments have been a great experience, but most of the stories we will remember will take place off the court. From roaming through the morning markets on the street, to playing beach volleyball under a perfect sunset, and getting lost in the middle of nowhere for hours, the real experiences are far greater than a win or a loss. The living conditions have been far from ideal, but it has really given us a chance to bond, and embrace a new lifestyle. 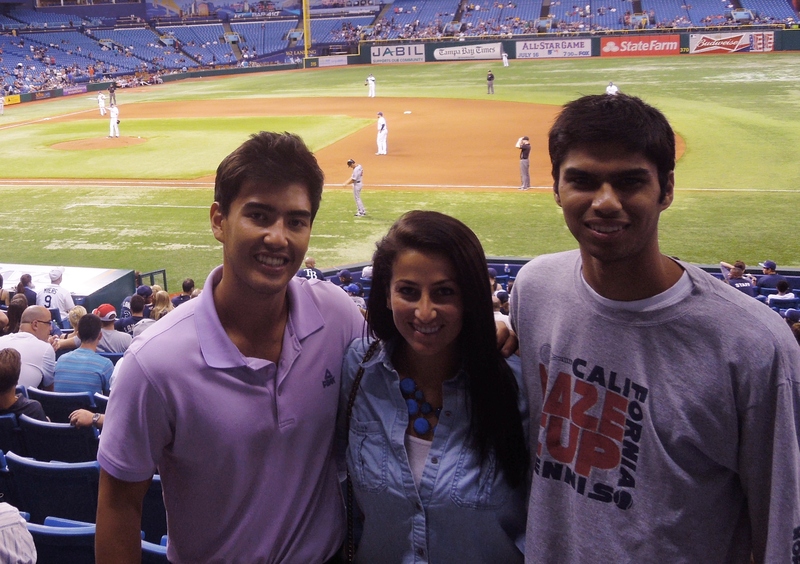 This summer, I went to Florida to work at the Women’s Tennis Association. It is hard to explain, but I have always been a strong advocate for women’s tennis (I’m sure growing up with three sisters helped fueled this interest). I found out about this position in late May, when our team was competing at the NCAA tournament in Mississippi, and jumped on the opportunity. As soon as we got back to campus I took the first flight out to Florida, and was excited for the upcoming adventures. As I got off the plane in Tampa, I realized this was the first time I was arriving at a location where I didn’t know anyone. It was unusual to walk out of the airport without anyone to pick you up. Instead, I followed the signs to a shuttle service and tried to figure out how to get to my next location. One of the WTA employees kindly let me stay at his place for the first couple of days, so I could figure out my housing situation for the rest of the internship. Living in the house system at Harvard really spoils you, as all the accommodations are taking care of. Similarly, living on your own is a wake-up call for what life will be like after college. The first day of work is always interesting. You are excited, but pretty nervous as you are keen to make a good first impression. All my anxiety quickly evaporated as I climbed up the 11th floor of the building and saw the gorgeous view the WTA headquarters had of the St. Petersburg Gulf. At the WTA, I was an intern for the Communications and Digital Team. The Communications Team handles the tournament reports for each event. We use this program, ICAD, to generate the draws, pull up player records, match-ups, etcs. We are also in charge of planning some of the social events at the major tournaments. 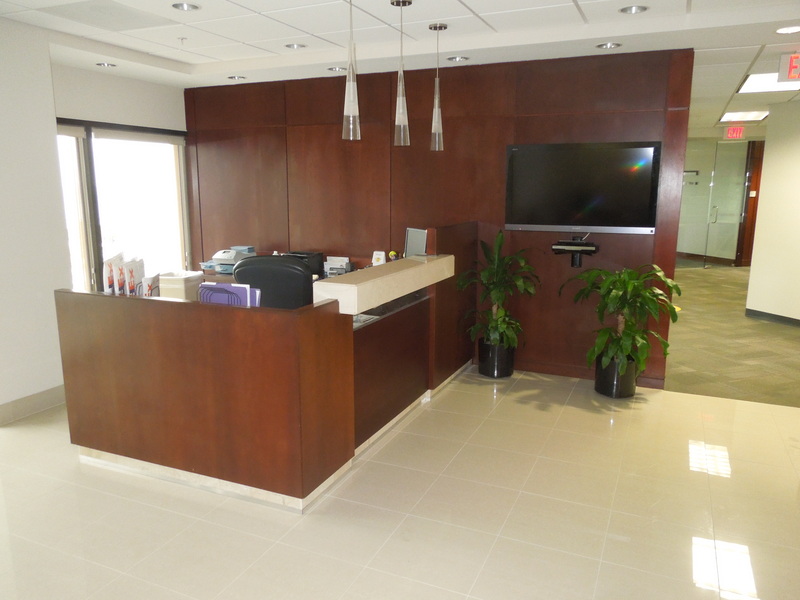 My timing at the workplace was great, as we covered two of the four major tournaments in my eight weeks. We started with the French Open, which went rather smoothly, but Wimbledon was going to be a greater undertaking. As part of the Digital Team, we were in charge of all the video content at the premier tournaments, as well as the distribution of our content over our social media sites. I worked on the digital team at the Pac-12 so I was more familiar with the work in this area. This year also marked the 40th anniversary of the Women’s Tour, and we were in charge of two events at the Wimbledon Championships. 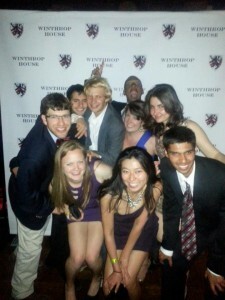 We helped organize the Pre-Wimbledon Red Carpet event, as well as the 40-Love Party. The 40-Love Party was a once in a lifetime event as we had 17 of the former 21 world #1 players attended( including many greats such as Margaret Court, Martina Navratalova, Billie Jean King, Chris Evert and Monica Seles). The up and coming players were also invited, truly bridging the generation gap. 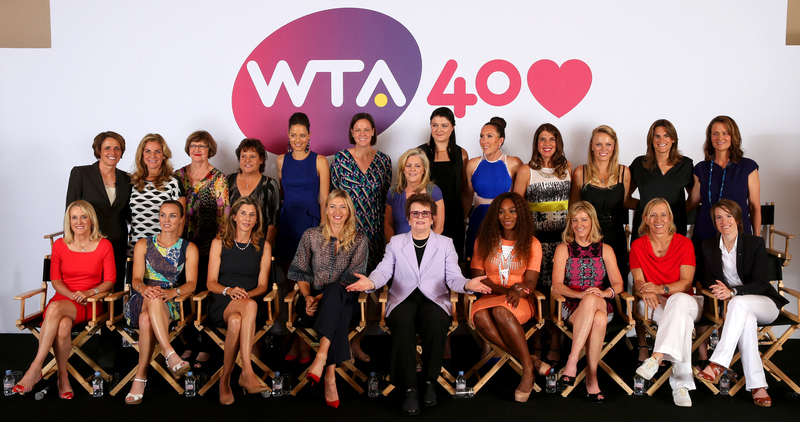 This event was broadcasted live on our youtube channel, and was definitely a great event for any tennis fans(here is the link to the video: WTA 40 Love Event). Looking back, I can’t believe that eight weeks have already passed by. Everyone in the office was really nice and wanted to make sure I had a great experience. For years, I have been an advocate for women’s tennis, and many people questioned me about it, but it wasn’t until this summer where I found my answer. Tennis is unique as it is one of the few professional sports that offer equal prize money for men and women. In other professional sports(basketball, soccer, hockey) there is a huge income gap between the men and women athletes. Living in the 21st century, I think gender equality is an important topic, and feel that equality across professional sports can set an example for countries that struggle with gender equality at the socioeconomic level. With equal pay for men and women tennis athletes, we giving young aspiring tennis stars the chance to achieve gender equality, even though it may their own not be accepted by their country. The opportunity to give female athletes the chance to follow their dreams is one of the main reasons I enjoyed working for the WTA. 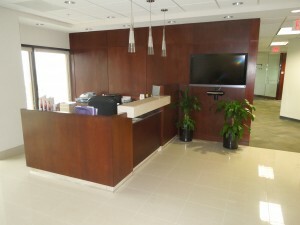 This coupled with the enthusiasm from the employees made each day exciting and vibrant. Working for the WTA has been quite the experience, and I leave Florida with many great memories. For the rest of the summer I will be traveling in France competing in tennis tournaments. Stay tuned! I didn’t realize it before today, but this is the first Father’s Day I won’t be with my Dad. I am working in Florida for the summer, and won’t be back home until the winter holidays. 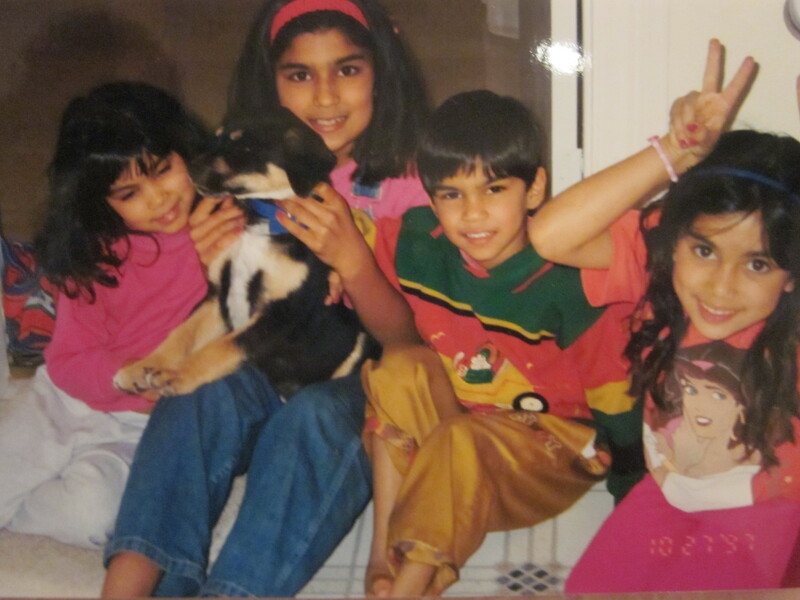 I have taken today to reflect on the last couple of years, and it is weird to think about how fast time flies. 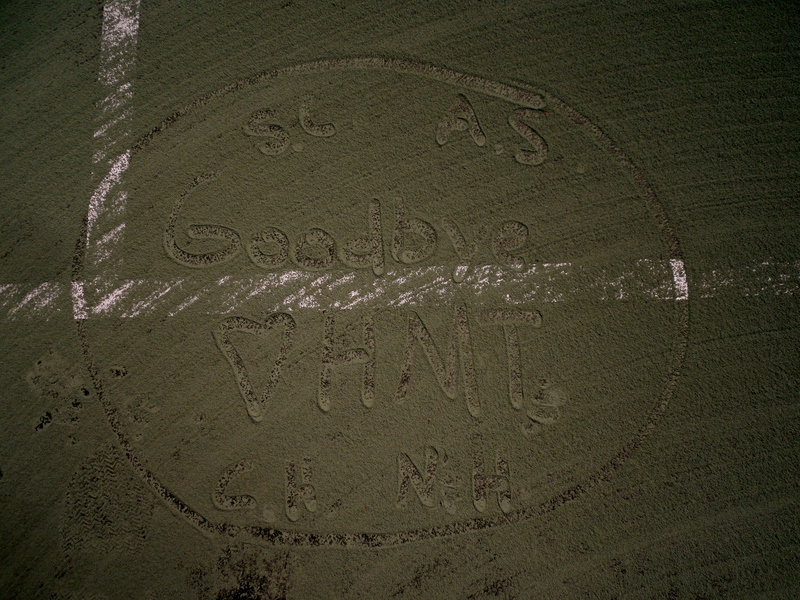 I can’t believe I have left my teenage years and have already completed half my time here at Harvard. When you look back at your teenage years, you only remember disconnected fragments. For me, most of my childhood memories involve traveling across the country playing junior tennis tournaments. It might seem like a glorious lifestyle, being able to travel to new places and play at nice country clubs, but it is a very lonely path. You lose the chance to live a normal childhood, where you can spend your holidays at home with your family and have a good balance of friends. Luckily, my dad traveled with me to every one of my tournaments and was there every step of the journey. I still remember my first tournament I ever played. I competed in the 10 and under category at the Johnson Ranch Country Club in Sacramento. I was thrilled with my second place finish, and knew I loved the game, but couldn’t imagine where it would take me. For the next eight years, I found myself on the road with my dad. 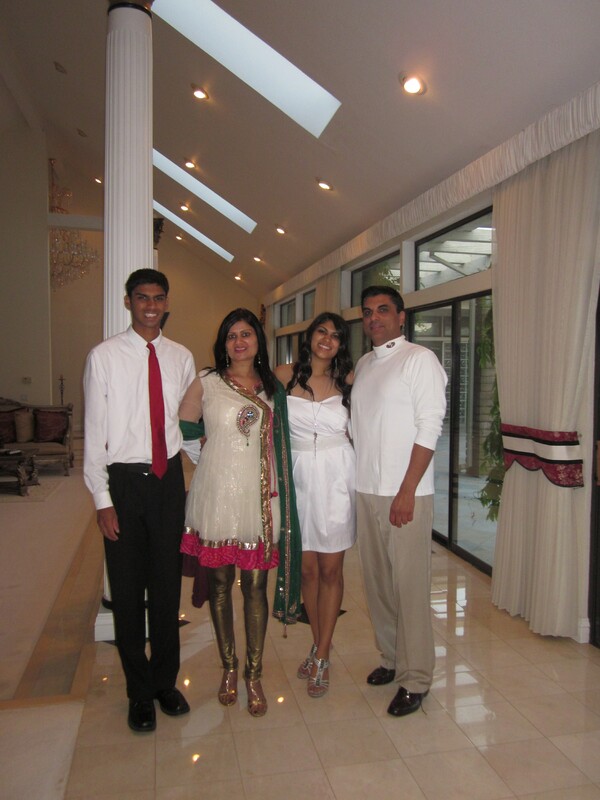 We would travel almost every school weekend in the local Northern California area, and then would travel nationally on the major holidays(Thanksgiving, Christmas, Spring Break, Summer Vacation, etc.). From the beginning, my dad made it clear that he would not be my coach. He didn’t want to have that relationship with me, and I am grateful he decided that from the beginning. As we traveled I saw many cases where the parent became too involved, and it destroyed their parent-child relationship off the court. By having this hands off approach he let me make my own mistakes, and I was able to learn much quicker. Despite not being my coach I always searched for him in the crowd during my matches, and he was the first one I wanted to see right after a match. When we started this journey over ten years ago, I don’t think we imagined where it would take me, and am grateful for everything I was able to achieve in the sport. We were both thrilled when it earned me a place in Cambridge, knowing that I was about to embark on an even greater adventure. Even though I know I won’t see him in the crowds when I compete in Boston, I can feel his presence on the court, and I know he is always on the court supporting me in every step of the journey. Be sure to thank your dad on this special day because I know I wouldn’t be here without all my dad’s support. Two years ago, I was sitting on my first flight to Harvard, when the girl next to me smiled and asked me what school I was going to. When she found out that I was going to Harvard, she shrieked in excitement, and we proceeded to talk about student life for the rest of the trip. Once we landed she gave me a tour of campus and made me feel so welcome. Her name is Winnie, and she kept tabs on me throughout my freshmen and sophomore year and I think she is a perfect example of the character and kindness exhibited by the Harvard Senior Class of 2013. I honestly don’t know how to say a proper goodbye to such a great class, but I did want to say a few farewells to a couple of seniors. 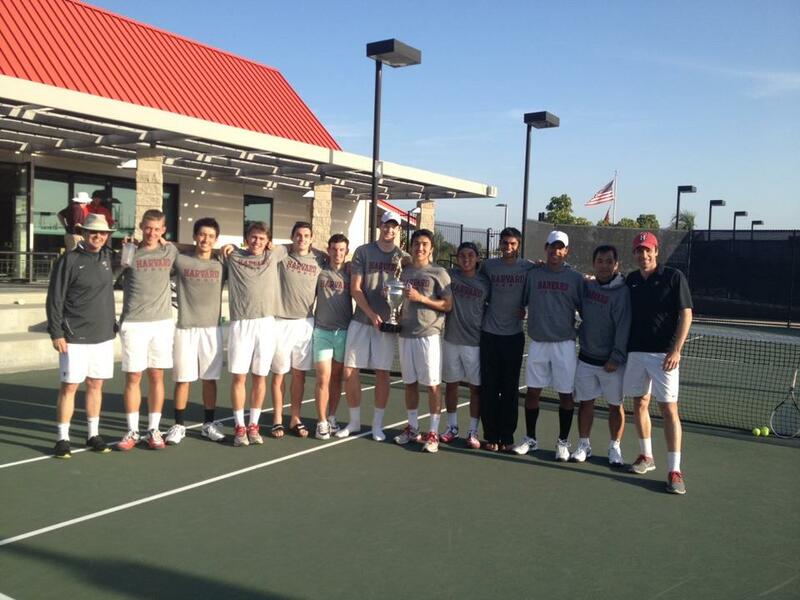 Firstly, I wanted to say goodbye to our lone senior on our tennis team, Andy “Tron” Nguyen. From a fearless samurai on the tennis court to a strong leader off the court, he encompasses the qualities that Harvard Athletics strives for. 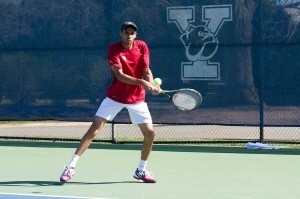 He was such an instrumental part of our team this past year, and helped push Harvard Tennis to the next level. Spending these past two years with him have been so special and the there will be a void next fall. We wish him best of luck in his future pursuits, and know he will achieve success in anything he does. Andy(right), Denis(left) and myself on the first team trip of the year. Then, there is a shout out to my Eliot family of seniors. Led by Jordan and Wes, we rocked the Winthrop’s Arbella Ball, Disney movies(Finding Nemo and Monster’s Inc), and all of the Eliot Formals. 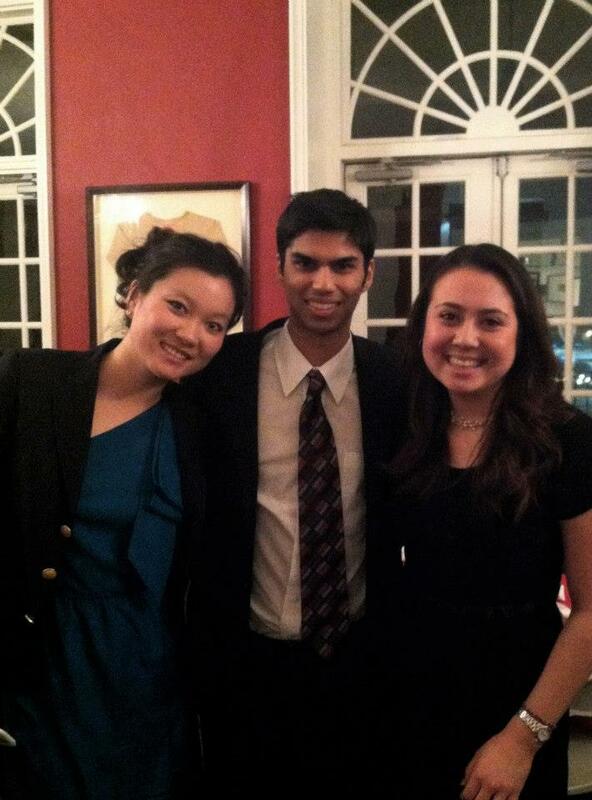 They are two of the most genuine and memorable people I have ever met, and my Harvard experience would have been incomplete without them. I’m going to miss you guys! Eliot Extended Family at Arbella Formal! Next, I have to say goodbye Kristin and Hideko, the two seniors on the Harvard Women’s Team. I will miss your smiles everyday at the Murr Center, and all our conversations. You were great role-models for the girls team and will be missed! Lastly I wanted to give a special congratulations to my older sister who just graduated from college this past year as well. 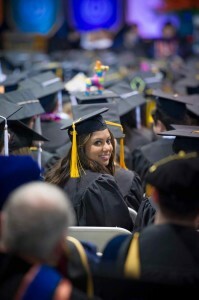 While she does not go to school in Boston, she is another reason why I think the class of 2013 is so special! There are simply too many seniors to name, but you get the idea. This was truly an extraordinary class and they leave big shoes to fill. 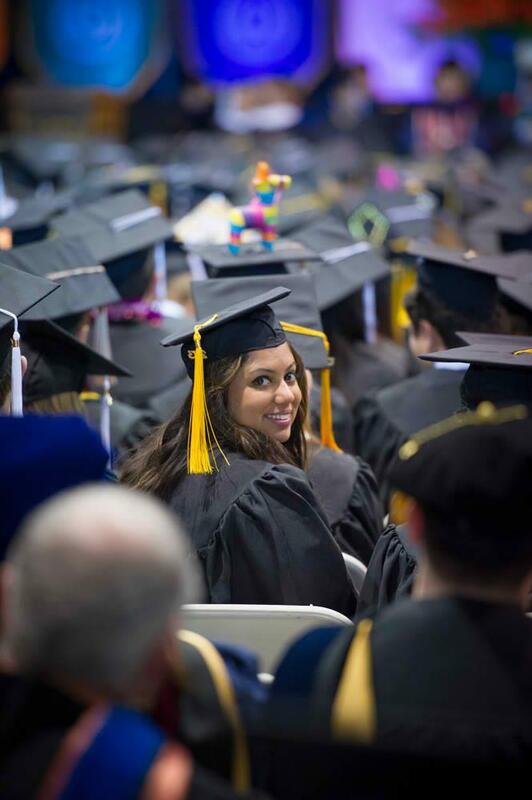 Now for the high school seniors, please enjoy your graduation ceremonies and senior events. These moments are really special and a great time to thank all the people who have helped you become the person you are today. Behind every great student are loving and supportive parents who have always put their children’s needs first. So thank them all and be ready to take on Cambridge in the fall. Wow, it’s been quite month here on campus. I’m sure all of those reading this have been aware of the events. Firstly, the horrific bombings at the Boston Marathon and then the hunt to find the same perpetrators who shot an MIT police officer. 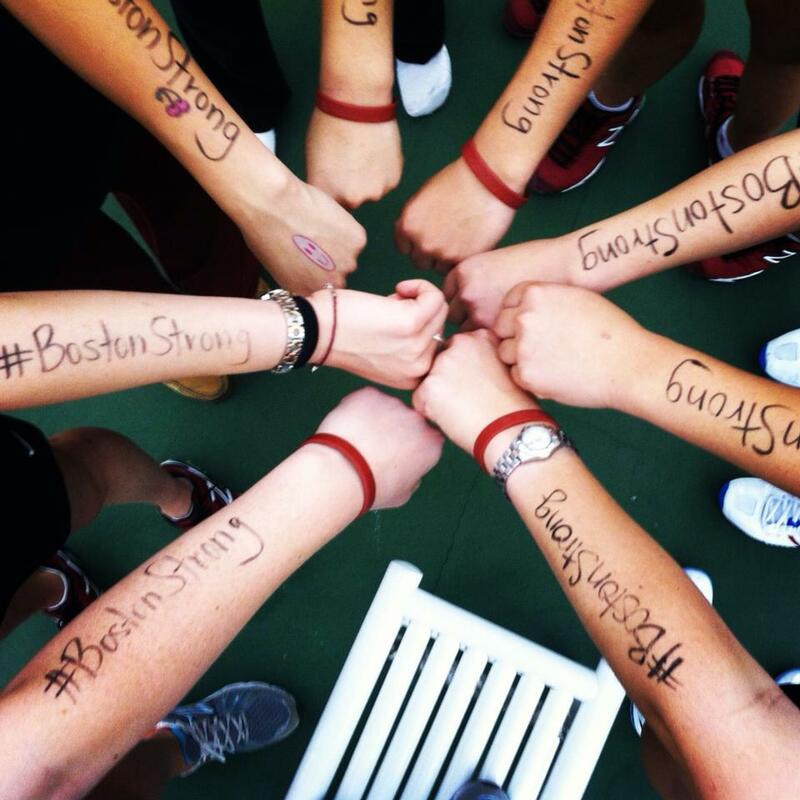 These events tug at my heart, and well as the rest of Boston. Events like this really put things in perspective and has helped our tennis team appreciate the opportunity to play the game much more. Not everyone has the opportunity to play a sport they are really passionate about and we are very fortunate to be where we are, doing what we love. 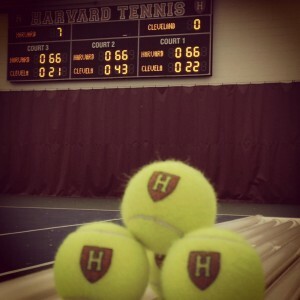 Maybe it was this new found perspective that fueled our motivation as we took the ivy league season by storm this year. 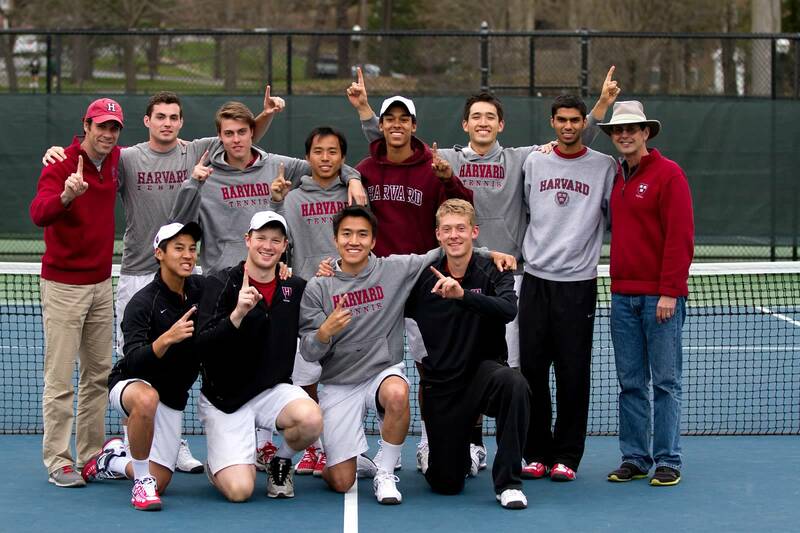 It is always special to play any match, but the Ivy League matches are always a bit more competitive and exciting. We started off the season by hosting the Columbia lions and Cornell Bears, and got through both matches 4-3 and 6-1 respectively. The following weekend we made the tough road trip to Princeton and Penn. 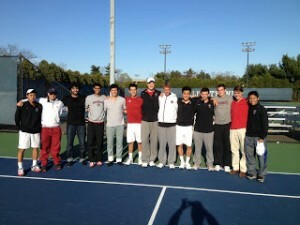 Our first match was against Princeton, and they came out enthusiastic, with a large fan contingent. It is matches like this that make you realize how much you love playing the game. I’m not sure how to describe it, but there is something about a hundred rowdy fans hollering at you that makes you appreciate what it means to be out of the court, representing Harvard. These atmospheres are really special as it’s truly amazing to see how many people care enough to come out to something you are very passionate about. Our team was unfazed throughout the match and were able grab a competitive 5-2 win. Next up for us was a match-up with the Quakers, and we were able to escape away with a 4-3 win to end a very long road trip. 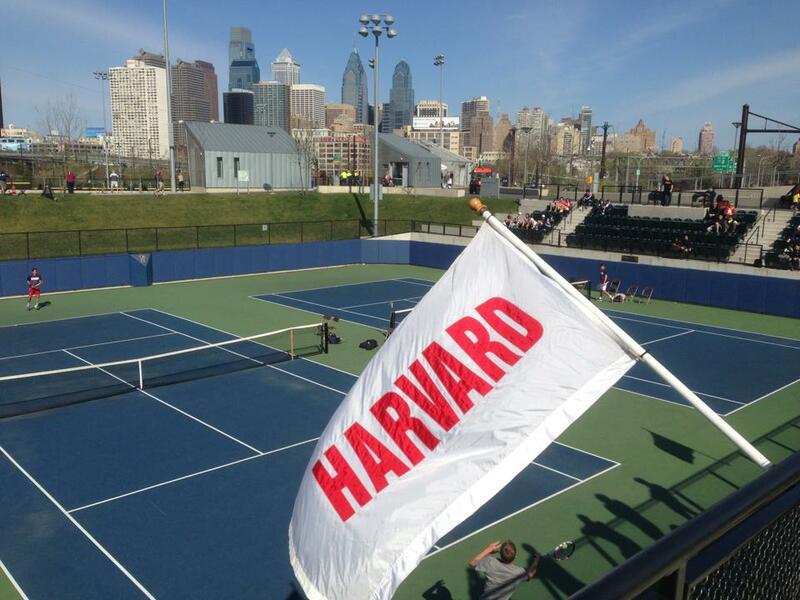 We were scheduled to play Brown on the following Friday, but because of the tragic events that ensued in Boston throughout the week, the match was postponed to the following week. Being on campus during the Boston bombings and police chase are something that I will never forget. 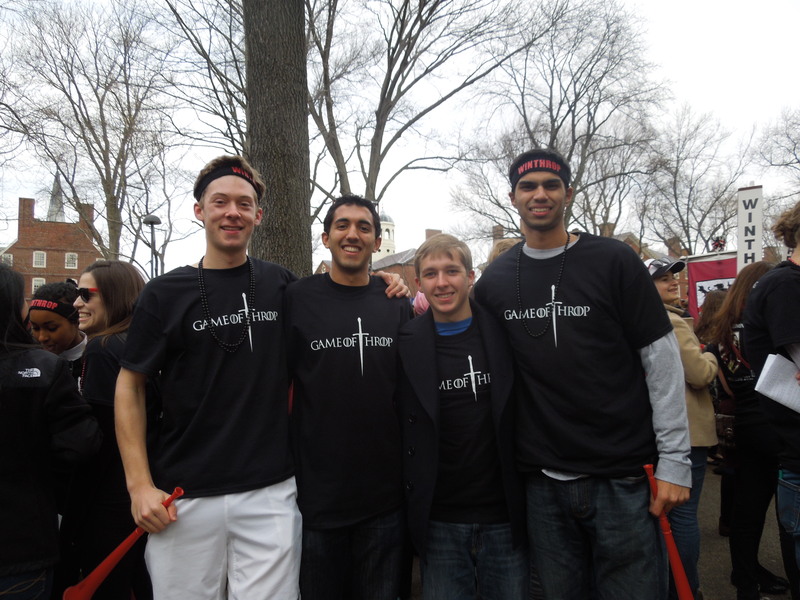 It wasn’t the fact that I felt I was in danger, but rather, I have never seen the Harvard Community closer together through these troubling times. Everyone was there for each other, and made you feel that nothing could hurt you. While the events were deeply saddening, we had to make sure we were ready for our next match. 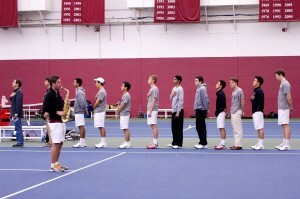 Next up for us was our annual Harvard-Yale match. A lot of alumni made it out to this match, and this match proved to be another highly contested battle. Once again, we were able to pull out a 5-2 win. 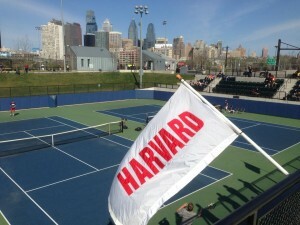 Our next match was slated for the following Thursday, against Brown. 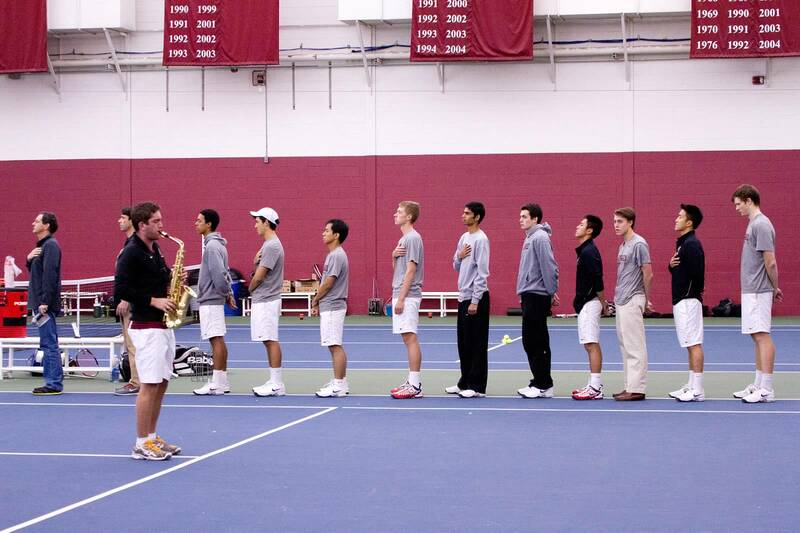 It was our senior day and we honored our one senior, Andy Nguyen, before the match started. From the start of the doubles matches, it was clear that Brown came with their A game and really took it to us. 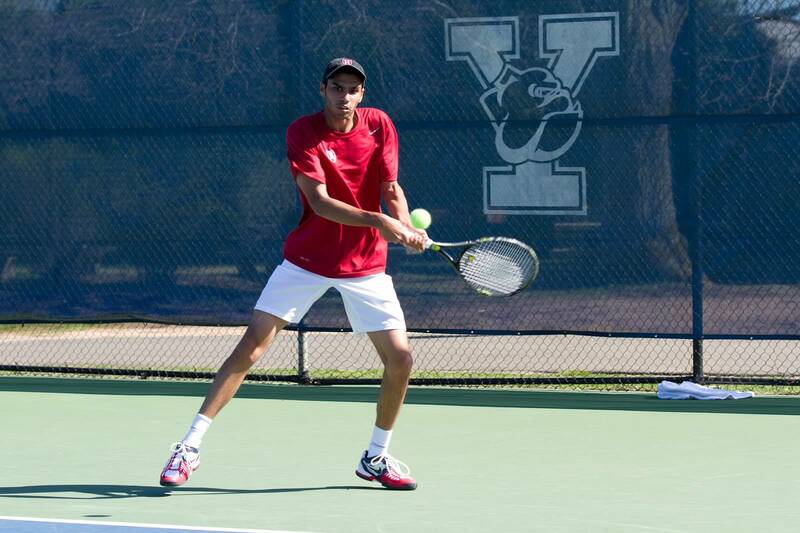 We were able to fight back in the singles, but we weren’t able to pull away with a win as we lost 4-3 for our first ivy league loss of the season. This meant that we had one more ivy league match against Dartmouth, with the ivy title on the line. We headed up to Hanover on a perfect day, with a goal in our minds. Starting in the doubles, all three teams were in top form as they all pulled out their matches. Heading into the singles we kept the momentum rolling and were able to take five of the six singles matches to take a 6-1 win and clinch the ivy league title outright. It was a great way to end the ivy season and a fine way to send off our only senior. 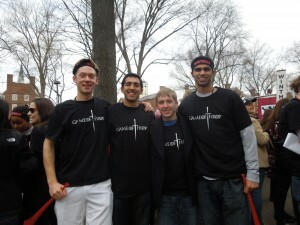 After the ivy league season we had a couple of weeks to focus on school and attend other events. 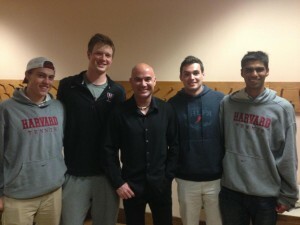 The most notable event I attended was a talk with Andre Agassi(former No. 1 tennis player in the world). He talked about his experiences with the game and life after he retired. He talked about having a passion and make sure you give yourself every opportunity to succeed. Being a student athlete it was great to hear him talk about his experiences and be close to someone who accomplished so much in the sport. Next up for us is the NCAA tournament this week! Stay tuned for updates! For this blog entry I wanted to share a video I made last year. In the video, I give my perspective of what Harvard is really like. I hope you all enjoy it. My roommates and I on Housing Day! For my spring break, I traveled to San Diego with the tennis team. We were competing in the Mission Valley Tennis Classic hosted by San Diego State University. We left the Friday March 15th, and stayed until Sunday the 24th. I am originally from California, so it was great to leave the chilly east coast for a couple of days. At Harvard, we primarily play indoors for most of the year, so the first couple of days in California were spent training outdoors to get used to the heat and weather conditions. In the first round of the tournament, we played the University of Alabama Birmingham. We were able to win the doubles point and 3 singles matches for a nice 4-1 win. The next day we played the host school, San Diego State University. We were able to take the doubles point and 3 more singles matches to take out the home favorite. On the last day we played top seeded Drake University. After a very boisterous doubles point we took a 1-0 lead. The singles proved to be even more competitive as many matches went to a third set. In the end our sensational freshmen, Nicky Hu was able to edge his opponent in a third set tiebreaker to help us clinch the match in a dramatic fashion.My dad was also able to come watch us play so it was nice to see him as well. Living on the east coast, I only see my family two or three times a year, so I am really glad he came down and could watch me play. The stay was also really special because we stayed with host families for the duration of our trip. Most of the families are Harvard alumni, and it is always interesting to hear about their experiences in college, and pursuits after college. HMT wins the Mission Valley Tennis Classic! We returned to the East Coast on Sunday night and classes resumed on Monday. The Spring Break was definitely relaxing and I now feel ready to tackle the last couple months of school! Thanks for reading this post, and best of luck with college decisions in a couple of days!